June 8, 2018 – Independent Stave Company, the largest supplier of barrels to the American whiskey industry, is expanding its cooperage operations in Kentucky. The Missouri-based company will invest $66.5 million dollars to build a new cooperage in Morehead, Kentucky, with construction to begin in 2019. The new cooperage will be largely dedicated to Bourbon barrel production, and the move follows ISC’s opening of new stave mills in Morehead in 2015 and last year in Benton, Kentucky. In a news release, CEO Brad Boswell praised the success of both new stave mills as setting the stage for the new cooperage. “The two new stave mills continue to outperform our expectations. Our ISCO engineering team, the incredible local work force and an increase in log supply has paved the way for cooperage expansion.” The project is being supported by economic development incentives from the Commonwealth of Kentucky. The family-owned company is also investing $28 million to expand its existing cooperages in Lebanon, Kentucky and Lebanon, Missouri with new equipment and other improvements. 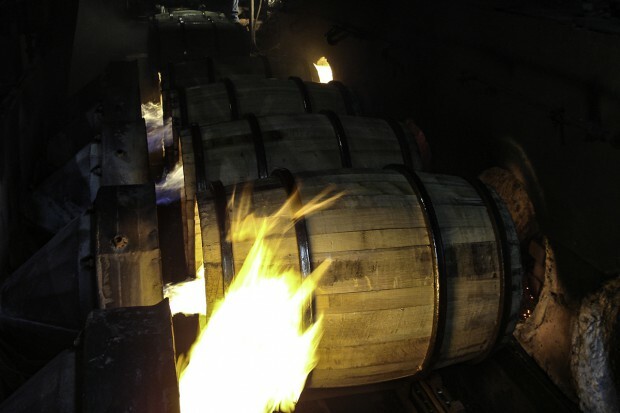 The Kentucky cooperage supplies barrels to almost every major Kentucky distiller, with the exception of Brown-Forman, which owns its own cooperages in Louisville and Alabama. In addition, ISC supplies barrels for winemakers, brewers and craft distillers, and also operates cooperages in France, Australia, and Chile. You can listen to our September 2017 interview with Independent Stave CEO Brad Boswell in Episode 660 of WhiskyCast.